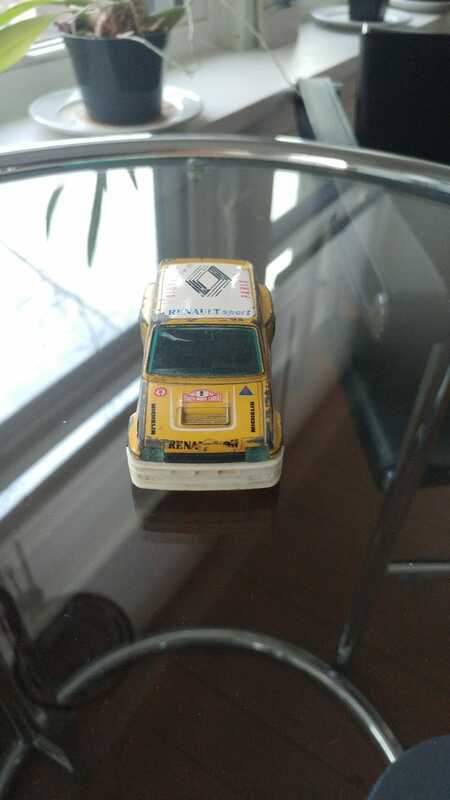 This is a Renault 5 Turbo from my youth collection. It’s made by Bburago, and is scale 1:43. However, I think it’s more like “1:43,” because this Vitesse Mini Cooper S is 1:43 and trust their scale a little better than Bburago’s. Despite its questionable scale i’ve always loved this model, which you can see by the considerable play wear. Reporting to you live from Australia, apparently... Thanks, kinja mobile!